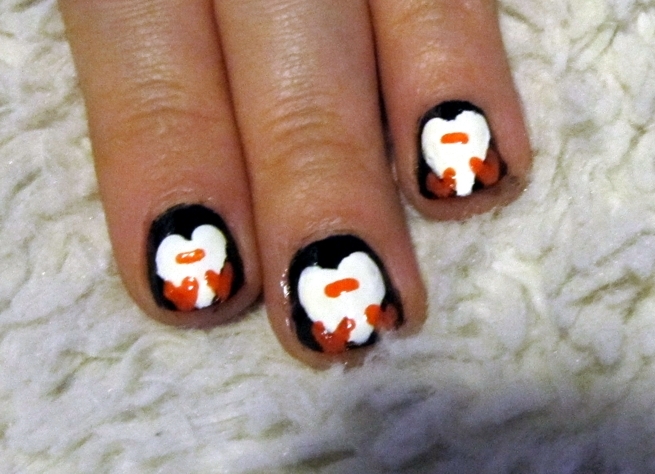 I came across this adorable Penguin Nail Art video tutorial and knew I just had to try it! 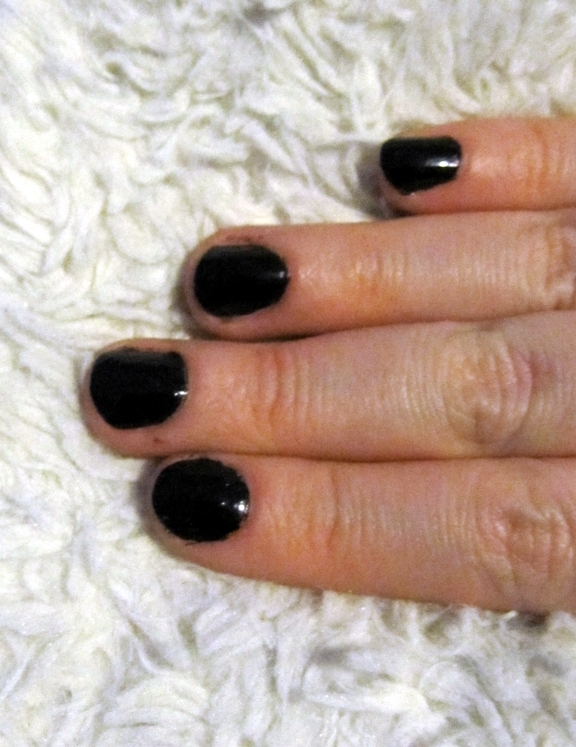 First, I painted all of my nails with a basic black nail polish. I used Liquid Vinyl by Orly. 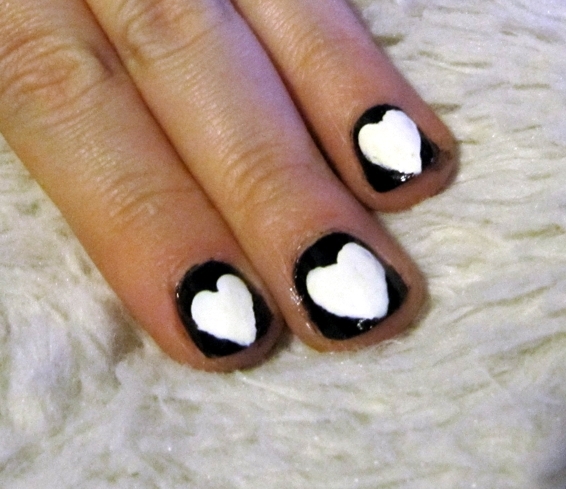 Then, using my new dotting tools, I did my best to create hearts on top of the black using a white nail polish. I used Paper Mache nail polish by Fingerpaints. This was definitely the most difficult part of this manicure, especially when working on my right hand with my left. The little penguins start to take shape once you start the next step and begin adding the orange on. I didn’t have a nail striper in yellowy-orange like she does in the video, so I decided to use my nail dotters and a basic orange nail polish (I used Hi Def – Sephora by OPI). I did my best to add little feet and beaks similar to what she did in her tutorial. …and then added the white dots on top. Part of me actually prefers them without the white dot on top. They are so cute with the big fat black eyes. Either way though, they are very adorable and I was so happy I found this tutorial on youtube. Here is the complete video tutorial I followed, I hope you check it out! 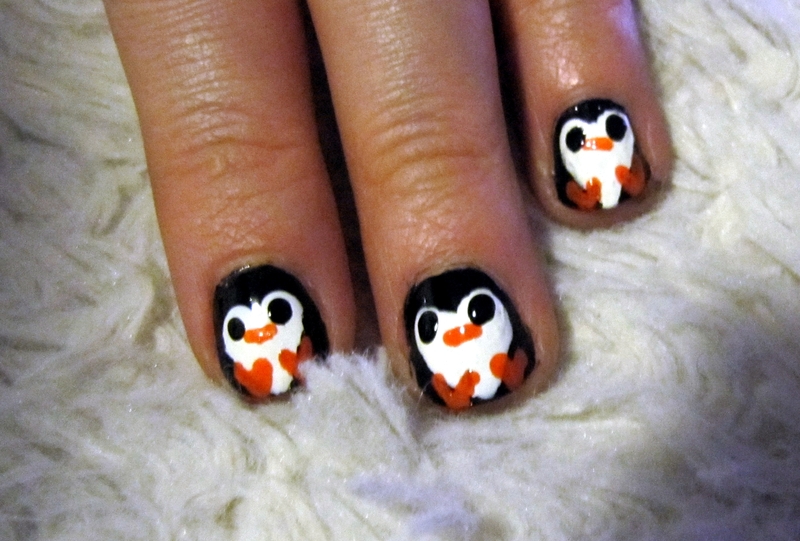 This kind of nail art was totally new to me and definitely a challenge. But I found it very rewarding because of how fun they looked afterwards. I’m looking forward to trying out something like this again soon. What are your favourite Winter/Holiday inspired nails this season? There are so many bloggers out there that create amazing and beautiful designs with the help of “nail dotters”, or “dotting tools”. I’d looked around for them at Sally Beauty Supply, Wal-Mart, drugstores, etc and was never able to find any sort of set that offered multiple sizes. 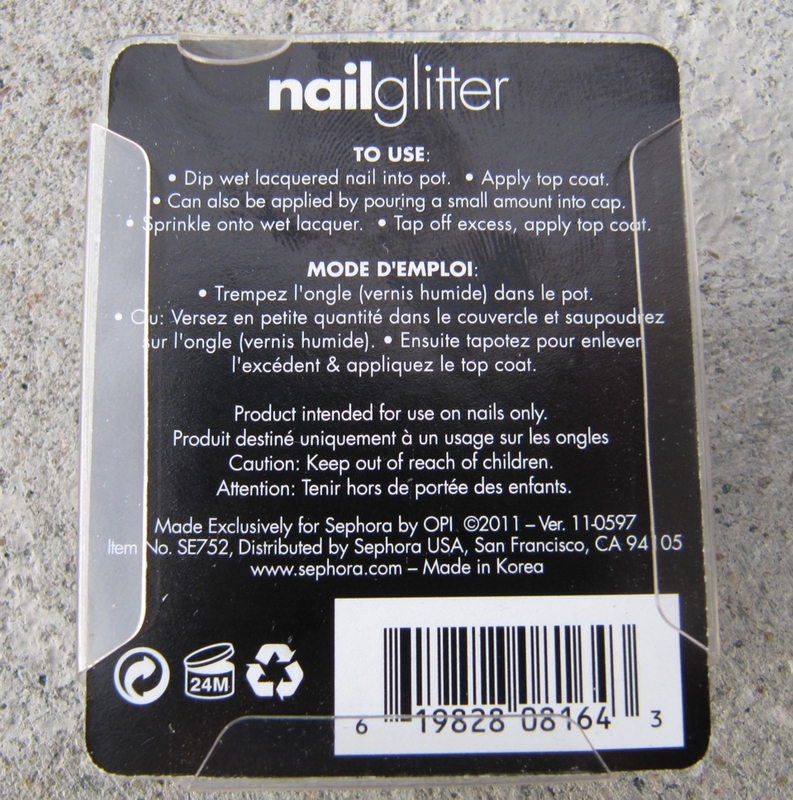 So I turned to my trusted friend Samira who let me in on the secret of where she got her set of nail dotters…Ebay! I paid only $1 (“Buy it now”) for the below set of nail dotting tools a couple of months ago and received free shipping to boot! Good luck beating this deal anywhere, I think it’s safe to say that you won’t. They shipped this nail dotting set from China and it arrived about a month after placing my order. I checked out Ebay just now and this set is a common sale item from multiple sellers, with various prices ranging from $1-$2 including shipping. 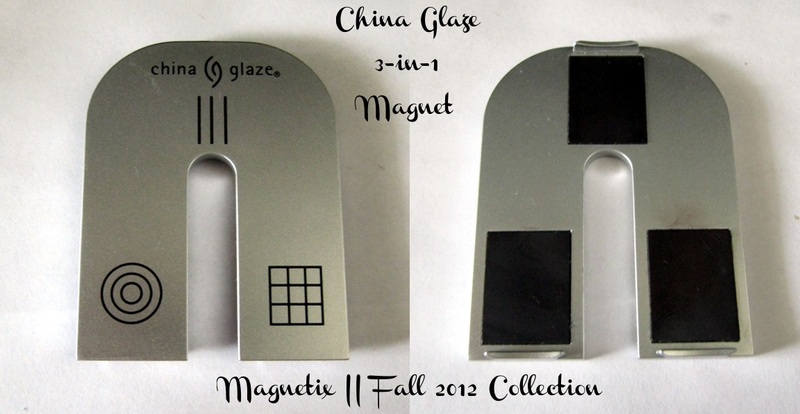 So if you are looking for a set like this and not in a major hurry, this could be a great solution for you. It certainly was for me! A set like this one helps you create different sized near-perfect circles with no hassle. You can also use the small tips to create more detailed designs if you struggle like I do with using a brush to create free-hand art. I find the latter especially taxing when using my left hand to create the designs on my right hand. Seeing as this was my first attempt at nail dotting, I wanted to do a very simple manicure to begin with. I basically just wanted to test out the different sizes and see if I could get used to using them. I used Turned up Turquoise (neon nail polish by China Glaze) as my base and then created small dot clusters using black and white nail polishes (Liquid Vinyl by Orly and Paper Mache by Finger Paints respectively). 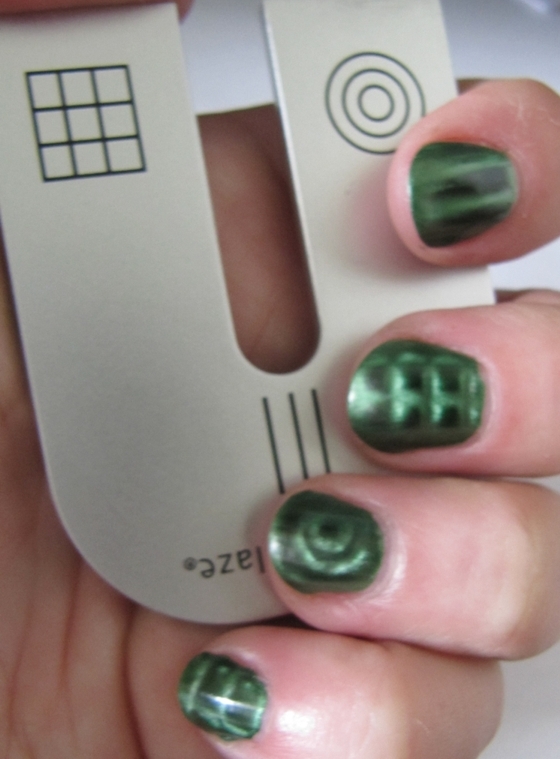 This manicure was super easy and quick to create. I had everything done in just a few minutes! 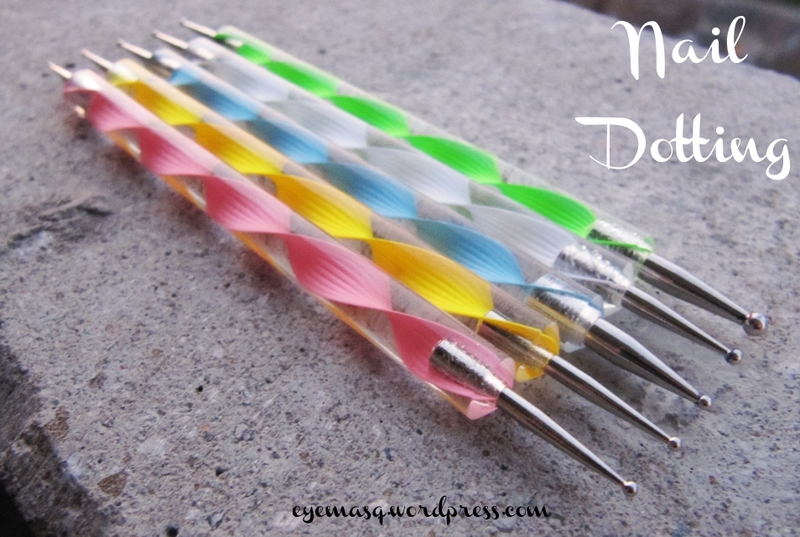 I look forward to getting more creative with these nail dotters and stretching my limits when it comes to nail art. If there are any pointers or secrets for using these, please let me know! 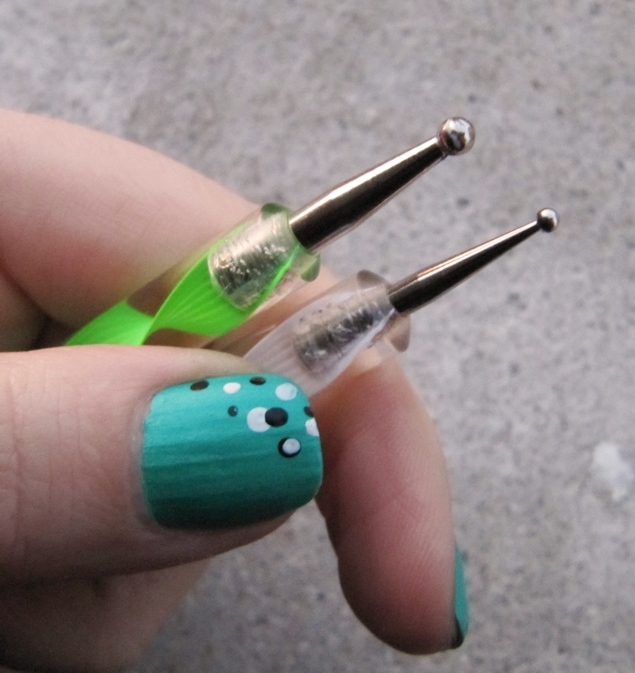 What is your favourite design or way to use nail dotting tools? Quite a while ago I purchased some nail glitter made by Sephora by OPI. It was on clearance for $3.00 so I figured I had to try it. From what I can tell, they don’t have them any more. But I have seen this product at local drug stores, made by other brands such as Smashbox and Quo. So it shouldn’t be difficult to find something like it if it looks like your cup of tea. 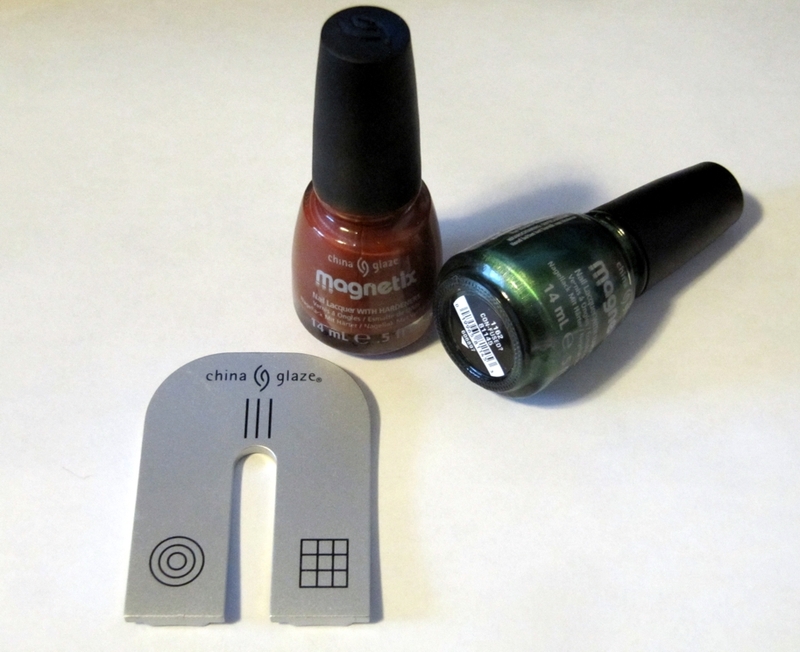 It was very easy to use and I had my full mani done in less than five minutes. I do have to warn you though, this glitter, like all glitter, makes a mess. It gets everywhere! I laid paper towel down which caught most of it, but it was all over my hands and subsequently everything and anything I touched thereafter. 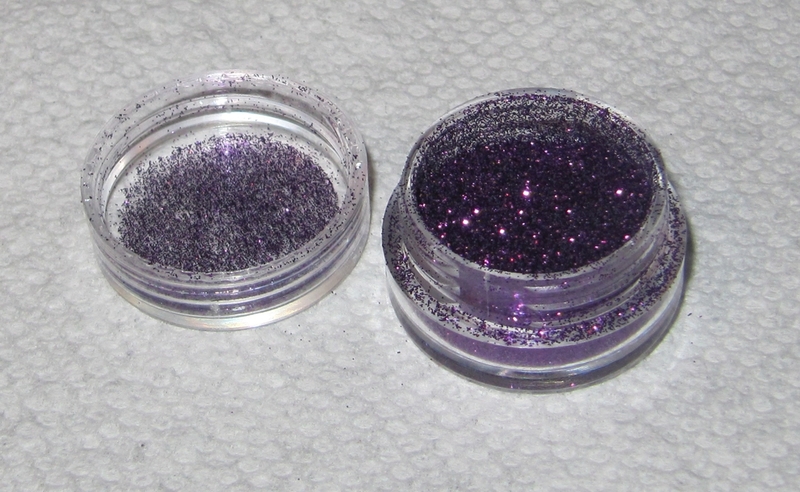 You simply paint your nail with one coat of nail lacquer and then dunk your nail face down in the container of glitter. When you pull it out, the glitter will be stuck to the polish. The excess glitter on your skin brushes off easily with the brush of a finger tip (but it will now be everywhere lol). I think a damp cloth would’ve been better as it would’ve picked up the glitter instead of sliding it around or transferring it somewhere else. Repeat for all fingers and then seal with a top coat. 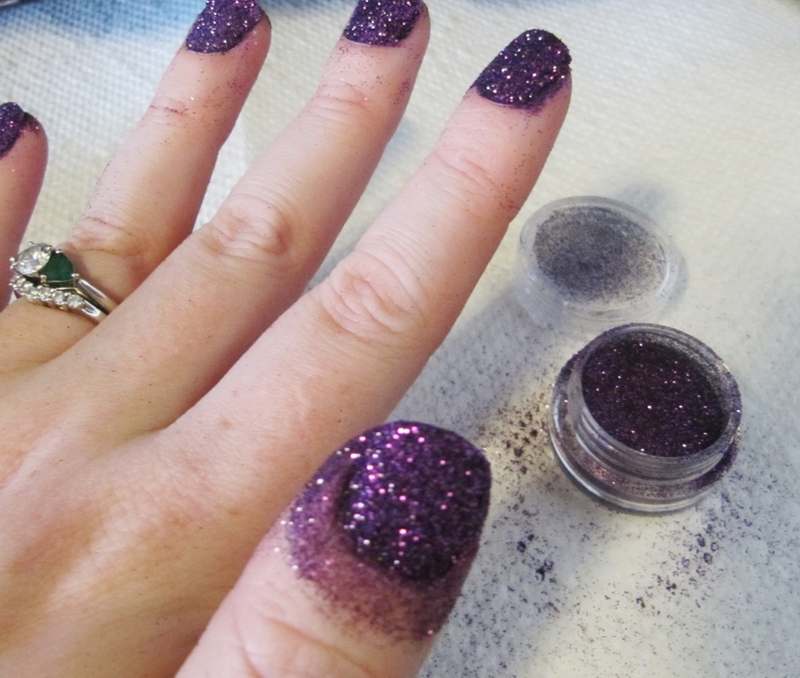 Once your top coat has completely dried, you can give your hands a wash to get the remaining excess glitter off. Because this was my first time using this product, I wanted to test something out. I was curious how heavy the coverage was and if it mattered what shade of polish you used underneath. So I did two fingers with white and two with dark purple to match the glitter. You can see here that the nails with the white are certainly a bit lighter in colour. The nails I used the purple for have a deeper and more vibrant look. I definitely recommending using either the same colour as the glitter you are using, or slightly darker, in this case a black would also work. This will ensure your nails wear nicer as the excess falls off and any missed or imperfect areas will be less noticeable. As far as the actual manicure itself, it held up better than I expected, but still showed tip wear after 24 hours. Keep in mind though, I was fussing with them more than normal. The texture of this manicure is very gritty and they look crazy intense – so I couldn’t stop messing with them! 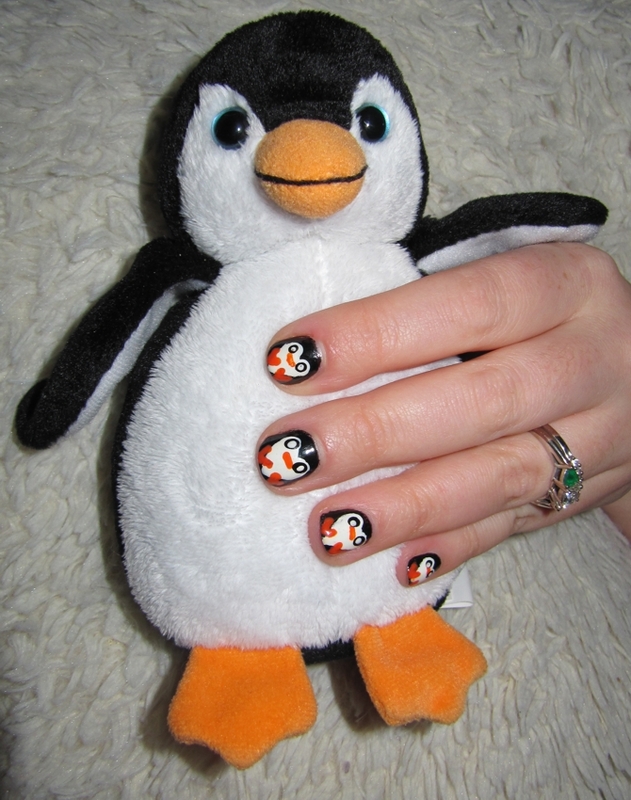 With that being said though, this manicure will likely only last you 2-4 days. So keep that in mind when giving this a go. They are super fun for a special occasion, but given how long it lasted me, its not something I would do all that often because I don’t change my nails that frequently if I can help it. I wasn’t sure what to expect when I went to take this off. I couldn’t tell if it was going to chip off, slide off nice and easy or require my foil fingertips like actual glitter nail lacquer. But it was really quite easy, for the most part, it came off just like regular nail lacquer would, plus some dry glitter transferring around. 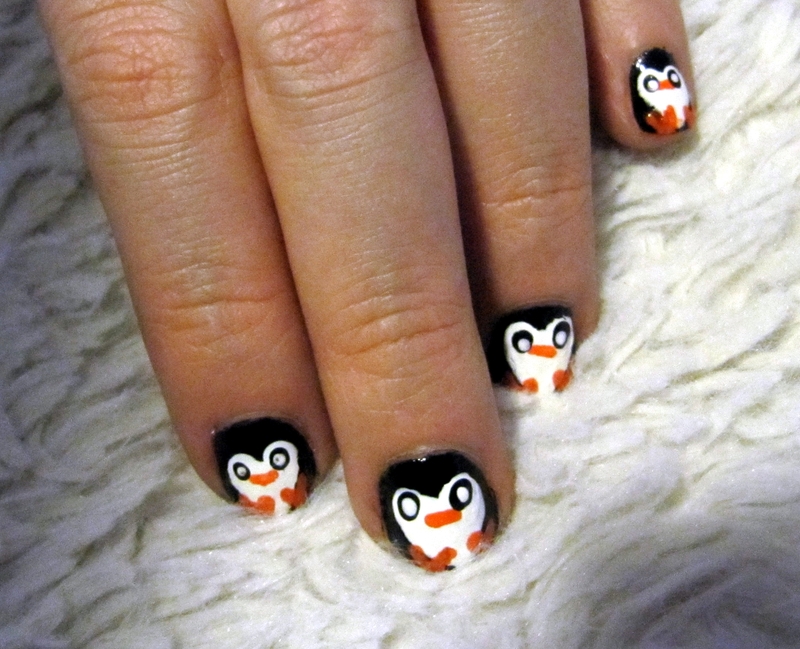 Have you already tried out this style of manicure? What did you think? I was playing around with some polishes on the weekend and wanted to do something fairly bright, seeing as summer is practically over. 😦 I’m in denial and am trying to get used to the fact that I’m going to have to get used to more muted, darker shades soon for the course of fall and winter. I also wanted to use a couple of new shades that I haven’t tried out yet. 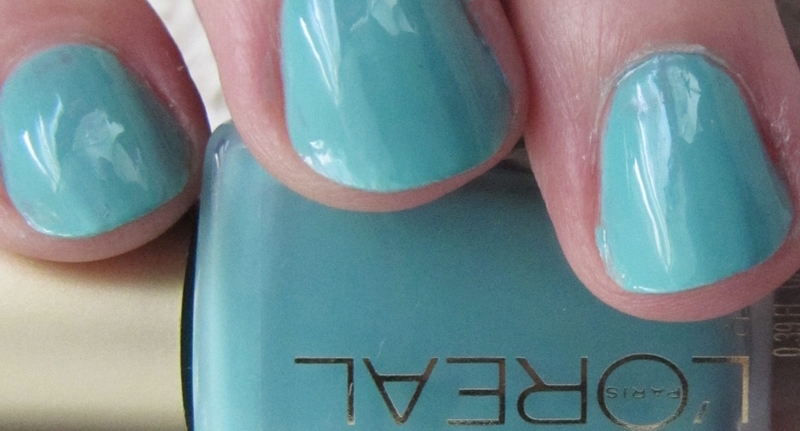 Club Prive is a baby blue (with an aqua tint) from L’Oreal and is a part of their permanent collection. It is sheer but milky and I found that it required about 3 coats to be perfectly opaque. 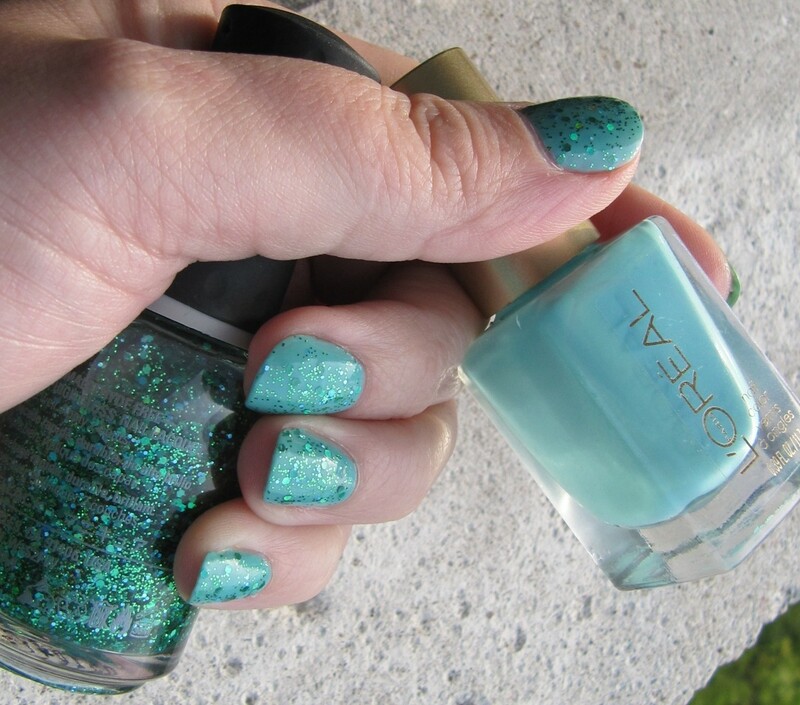 I used Club Prive as my base and then layered on a generous coat of Mermaid Tale, by Orly, from their Flash Glam FX Collection. Click me – so you can REALLY see my glitter! 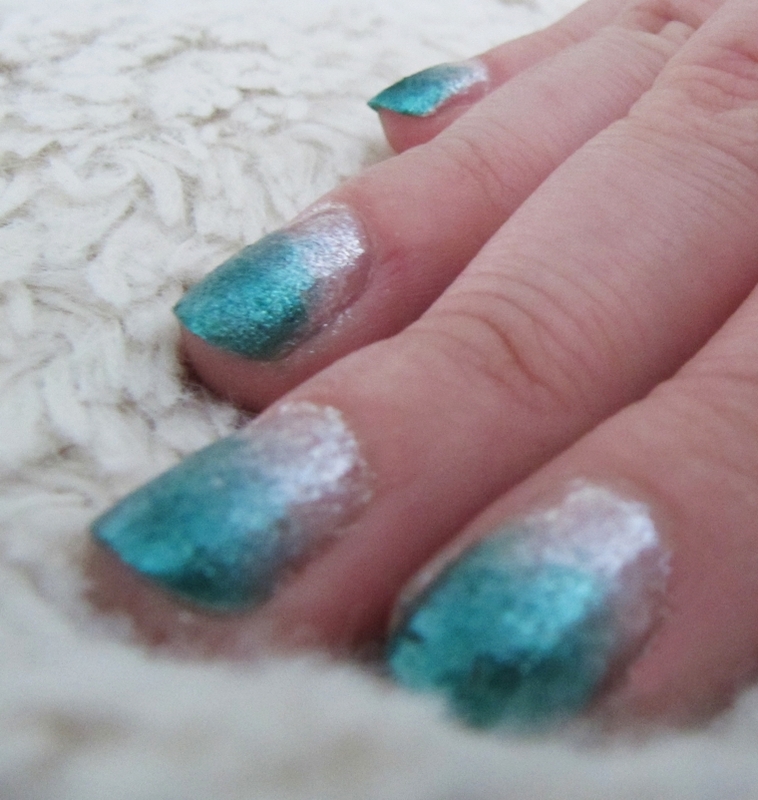 Mermaid Tale is a full on glitter polish with a clear base. It is made up of both small and medium sized glitters in a variety of green and blue shades. 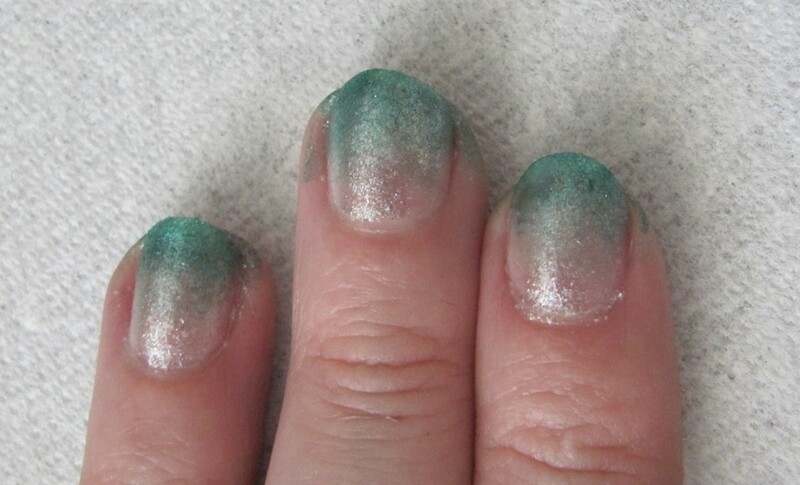 I had a lot of fun with this manicure and am really looking forward to trying out “Mermaid Tale” in a Jelly Sandwich! Tell me, are you still clinging on to summer colours? Or have you already made the transition into fall? I started with Orly’s Winter Wonderland polish, a white shimmer polish, heavy with tiny silver glitter. 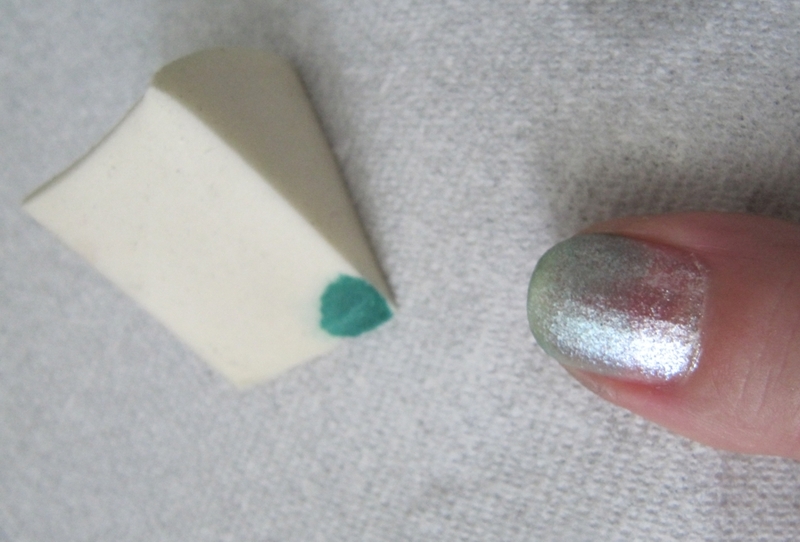 Then, using a cosmetic sponge, I lightly dabbed on “Watermelon Rind” by China Glaze on the upper half/two-thirds of the nail. Then, you simply take a q-tip with nail polish remover and clean up the skin around the nails. 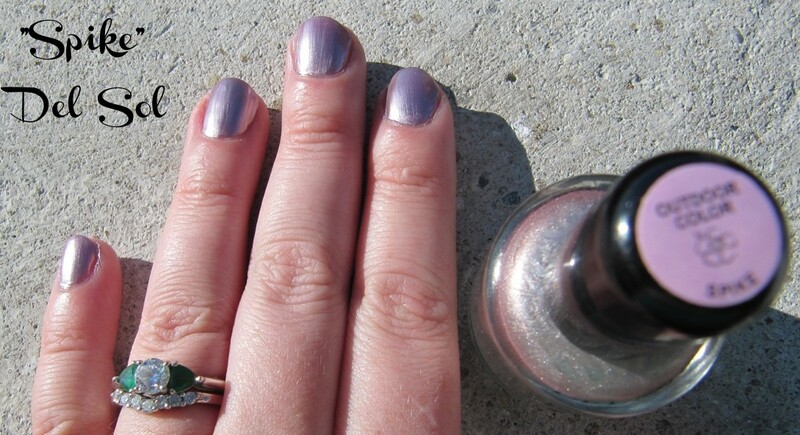 A gradient manicure like this is really fast and easy to do. And because the coats of polish you are applying are so thin, it dries very quickly. Have you tried out gradient nails yet? Do you have a favourite colour combination? Or a different method you prefer? Summer is the perfect time for bright colours, short shorts, sandals and a golden tan. It is also the when you get to break out all of your fun nail polishes that just don’t suit fall or winter. Del Sol Nail Polishes help you experience two colours at once in a super fun way. They have a line of nail polishes that change colour in the sun. I bought some last summer and really want to share them with you. 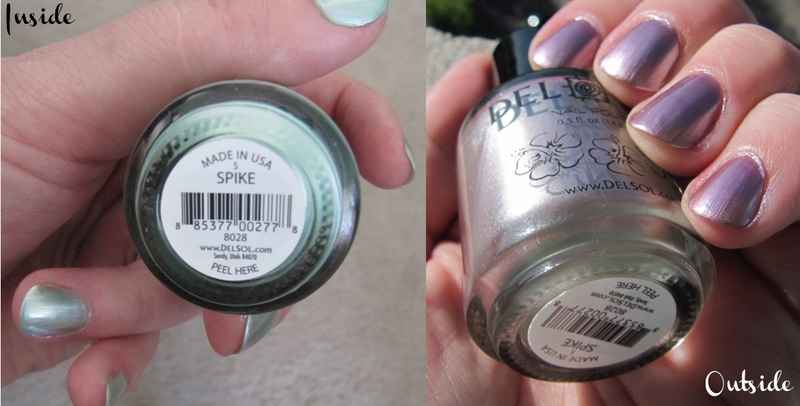 Spike – which changes from a light pastel metallic green to a dark pinkish purple metallic shade. Sassy – which works for occasions where you want your indoor nails to be a little more neutral (perfect for work). This polish changes from a light pastel pink to a richer medium metallic coral/pink. There are 22 different combinations available at delsol.com and they also have over 100 store locations in 23 different countries worldwide. 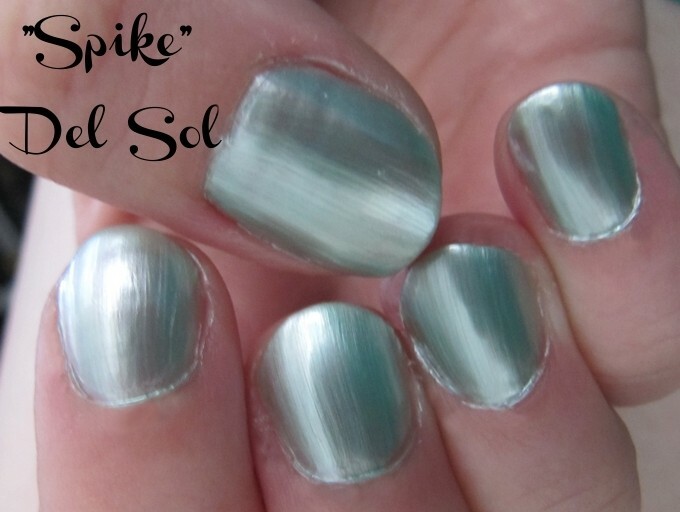 Del Sol also carries a variety of jewellery, clothing, hair clips and other accessories that change colour when outdoors soaking up at that Vitamin D.
I decided to showcase Spike for this post and I’ve taken a few progress shots in an attempt to show the polish making the change in the sun. How fun is that? It’s like having two different manicures at the same time. The Del Sol nail polishes in my experience are a really great consistency that make applying multiple coats quick and easy. Although they are slightly sheerer than one might like (I do 2-3 quick coats), I find that it takes the same amount of time to paint your nails because you don’t have to worry about a goopy consistency when layering the polish. They dry quite quickly and still glide on as smooth as the day I bought them. These polishes leave your nails feeling soft, silky and with a shiny finish. Has anyone else tried these? 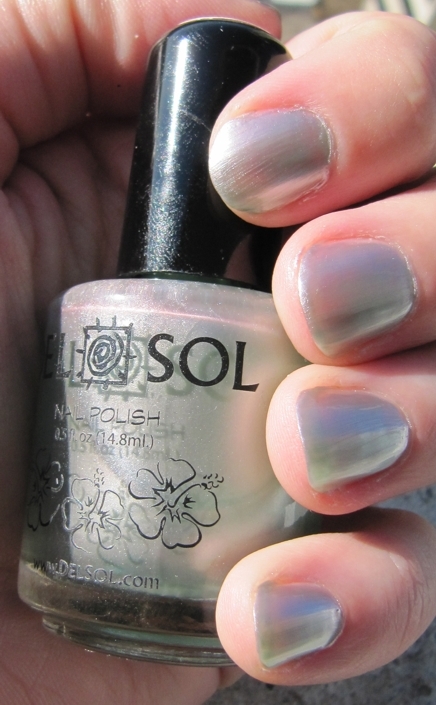 Does anyone know of any other brands that have a line of polish that changes colour in the sun?